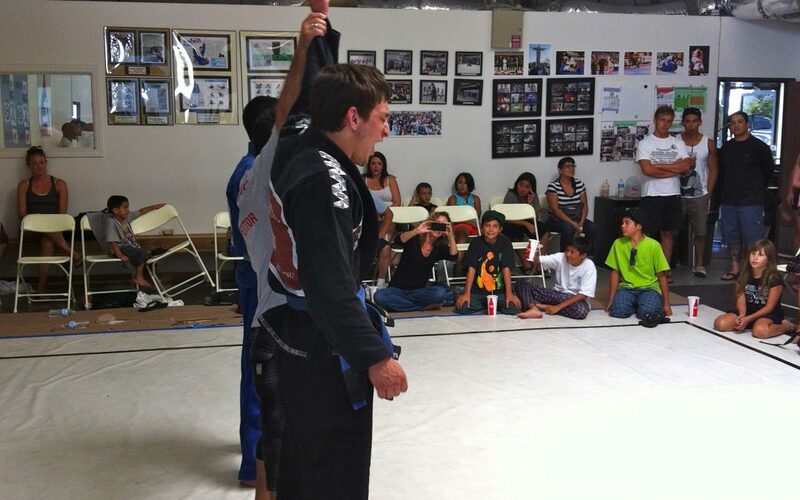 In-house jiu-jitsu tournaments are great opportunities to test all aspect of your jiu-jitsu training —agility, endurance, technique, and mental fortitude — in a friendly environment. They are a chance to challenge yourself with new opponents who have varying styles, favor different choice techniques, and take a fresh approach to the sport. No matter your path in jiu-jistu, in-house tournaments are an excellent compliment to your every day training — they provide fresh perspective on your entire game, highlight areas for improvement in order to strengthen your game, and impart invaluable learnings that enable you to take your game to the next level. Plus, if tournaments are your track, this is solid training ground to prep you for entering into the upcoming NABJJF Los Angeles International Open. Utilize your in-house tournament competition experience to tailor your training for the next regional tournament and create a game plan for victory! The finale… after the day of friendly competition, cheer on our academy masters in the Black Belt Super Fights! Competitors will be divided by gender, age, belt, and weight. Depending on the number of sign-ups, some weight divisions may be safely merged to allow for a larger pool of competition.